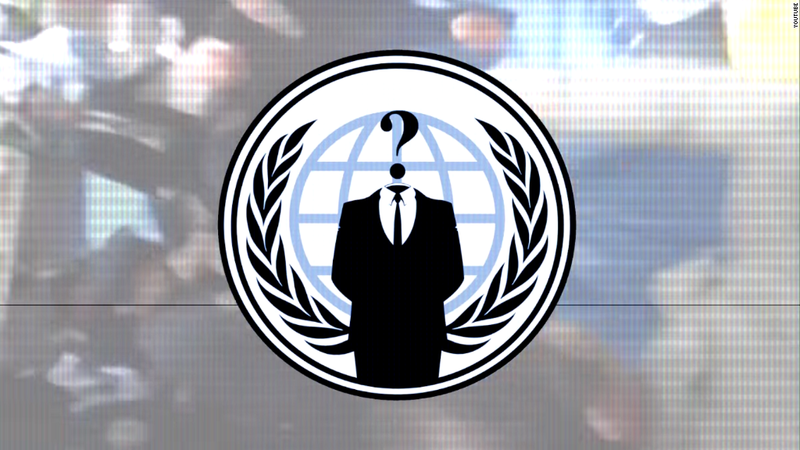 Hacktivists affiliated with Anonymous successfully took down the Greek Central Bank's website. They said it was the first in a series of global central banks they plan to target over the course of the month. Greece's central bank website momentarily crashed Tuesday. It was down for just a few minutes before the bank's security personnel were able to restore it. Spyros Frangos, the central bank's press adviser, told CNNMoney that there were no documents stolen or destroyed. The bank doesn't manage any transactions with clients, so no money was lost in the attack. The Anonymous hackers took down the site with a distributed denial of service attack, which floods a website with traffic. It's akin to thousands of people calling your phone number simultaneously. Anyone trying to reach you would just get a busy signal. Though denial of service attacks generally aren't all that serious -- they don't directly result in any stolen, sensitive information -- they can be an effective hacking tool. At times, hackers use denial of service attacks as a distraction, hoping to divert a target's security resources so that they can slip inside a computer system undetected. Other times, very powerful denial of service attacks can disrupt a target's business operations. In 2012, hackers launched a massive denial of service attack against some of the largest U.S. banks, disrupting customers' access to their bank accounts for weeks. That doesn't appear to be what happened here. The attack on the Greek Central Bank was relatively weak and easy to foil. It appears to be an act of protest -- the cyber equivalent of graffiti on the outside of a building. In a YouTube video, the hackers said they are targeting the global financial system, which they labeled a "banking cartel" and a "tyrannical institution." The group said the attack marks the start of a 30-day campaign to take down various central bank websites from around the world. They labeled it "Operation Icarus," which has been the name Anonymous has used in its banking sector attacks for five years. When the group unsuccessfully threatened to take down the New York Stock Exchange in 2011, it used the same branding. But now, this series of central bank attacks is the "operation to end all others," the group said in the video. Anonymous' bark is significantly louder than its bite. The group has splintered in recent years. The YouTube video posted was from a fringe Anonymous affiliate -- there are many groups of hackers that use the name Anonymous, even if they're not connected. The hacktivist group has become far less effective in its efforts to take down its targets since its peak during the 2010 Arab Spring. For example, Anonymous launched a "total war" on Donald Trump last fall and again in March, yet it failed to dig up any serious dirt on Trump.